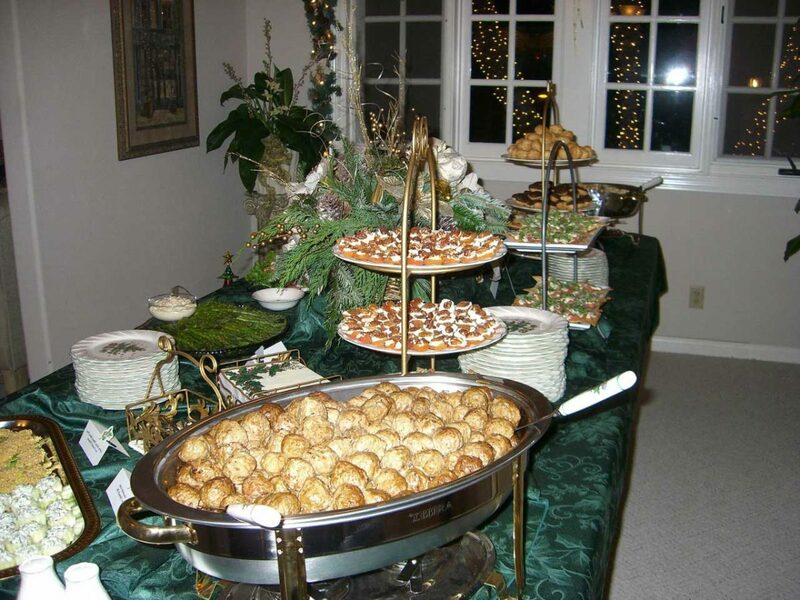 Buffet table decorations are very important to welcome the holiday or your special day. 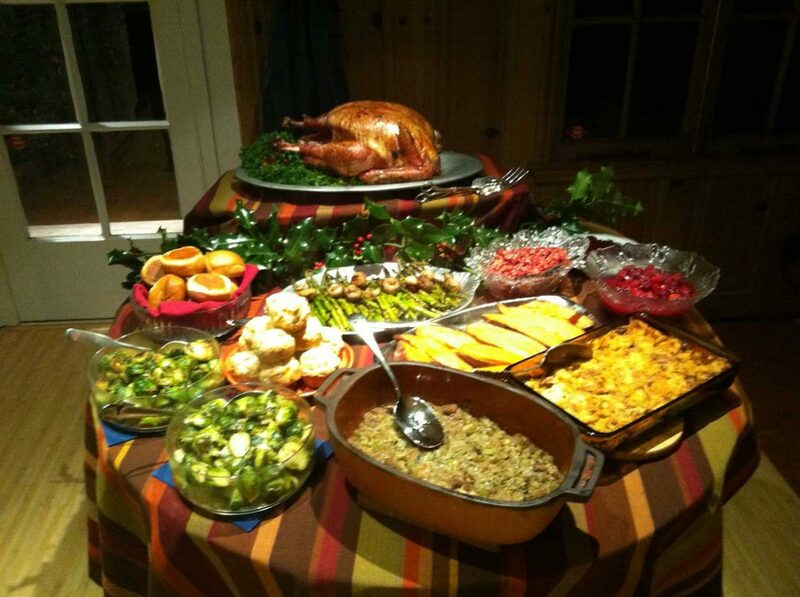 Welcoming guests on Thanksgiving or Christmas holidays with a variety of foods, need tricks to organize them. So the buffet table looks neater and lively. 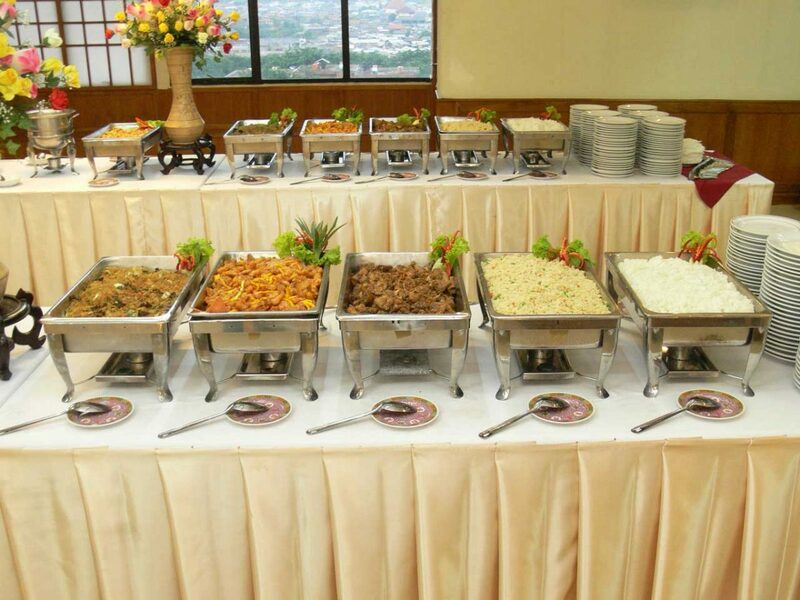 Food preparation needs to be done well, especially for those of you who have a small buffet table. 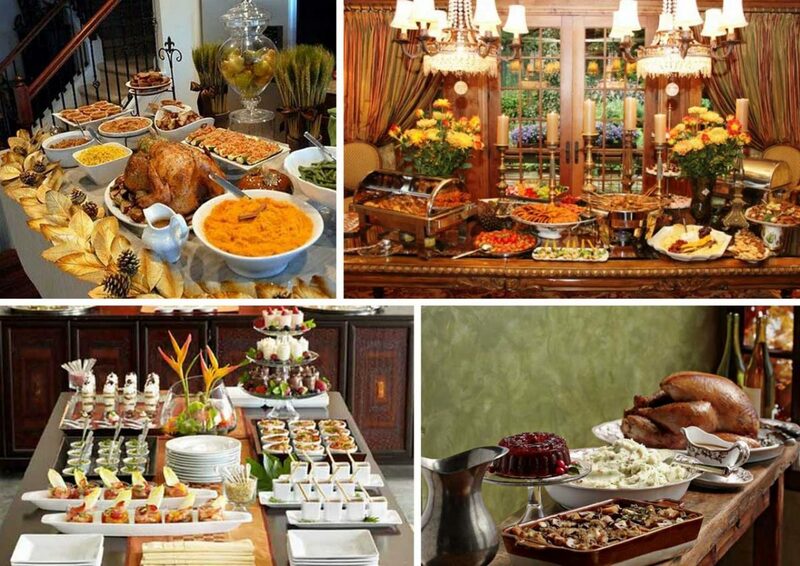 Neatly arranged dishes ranging from roasted turkey, mashed potatoes, cranberry sauce, and fresh drinks. 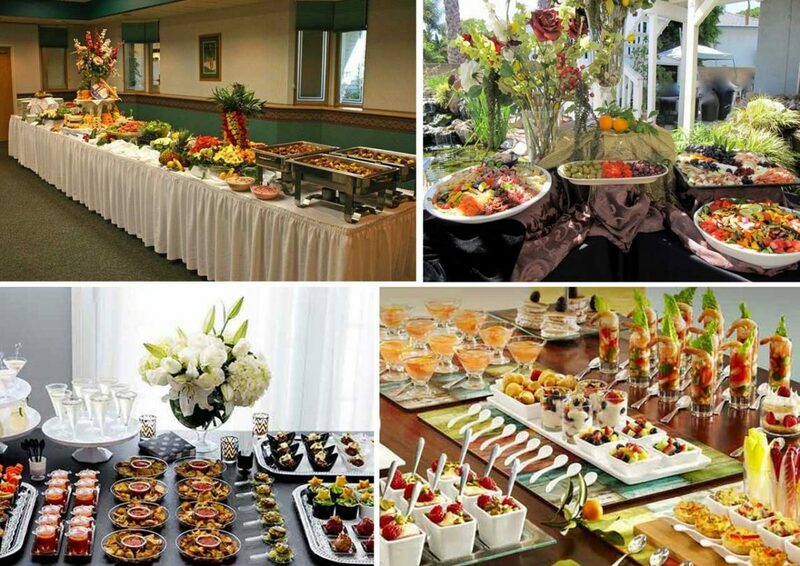 Serving food in a buffet style means that there is plenty of food arranged on the table. In order to make the food and oil sauce does not spill when guests take food, you should cover the buffet table with a plastic table cover. Today, there is also a disposable plastic table cover so you don’t need to clean it. Choose a thin and strong plastic table cover and the same size as a tablecloth so it doesn’t look messy. If you want to be more practical, just give the table runner in the middle of the buffet table, so that the table is easier to clean. Not only arranged well. 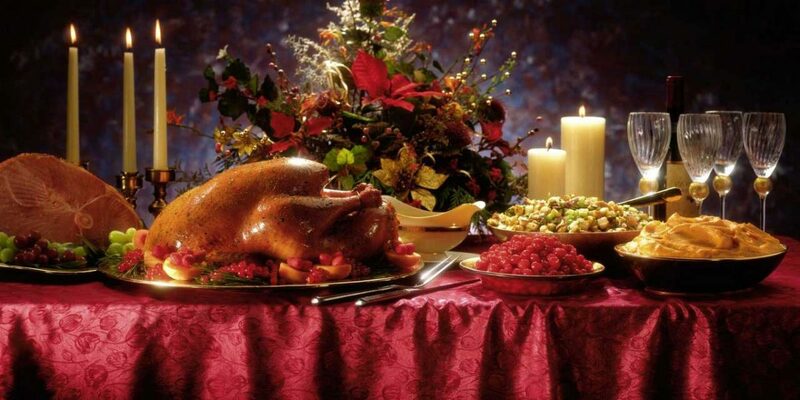 You also need to add a little decoration using the equipment according to the Thanksgiving theme. Ornaments of fresh flowers or various leaves in copper or brass pots can brighten up the atmosphere. When preparing food, you should first arrange dry dishes such as pumpkin pie. Whereas hot soup foods can be served when guests start coming. If there is, you can use a food heater so that the food that has been served is kept warm. When many guests are present, you need to monitor whether there are still many mashed potatoes or cranberry sauce. 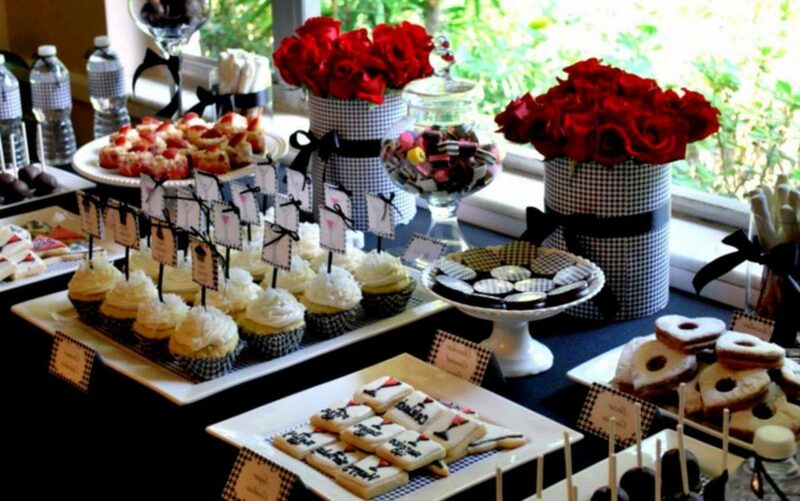 In order to not excessively or less, you should plan in serving dishes with the guests in attendance. In addition, if you are serving drinks like juice, you should choose a beautiful drinking container and place it on a separate table or close to dessert. You should use a plastic cup so you don’t bother washing it. If you use several tables, fill it on the biggest table with the main food. 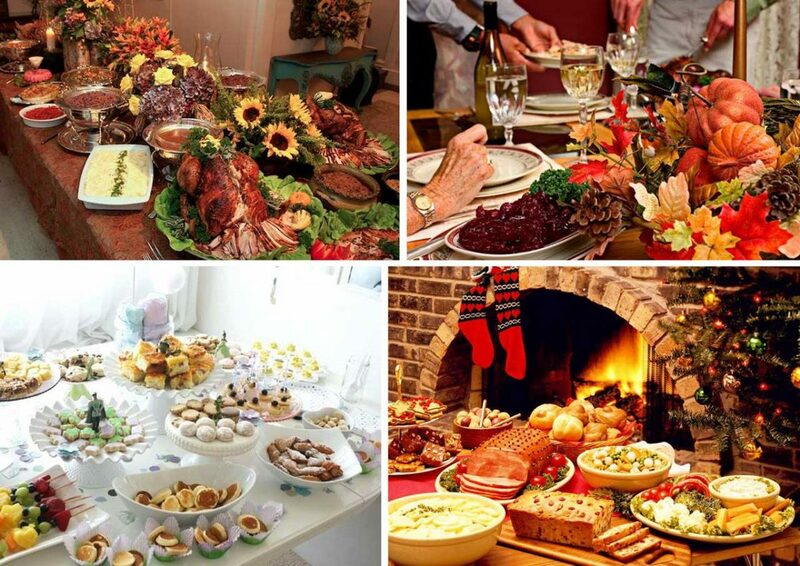 Start compiling foods from Christmas pudding, baked turkey, pumpkin pie, salads, cranberry sauce, and other desserts. 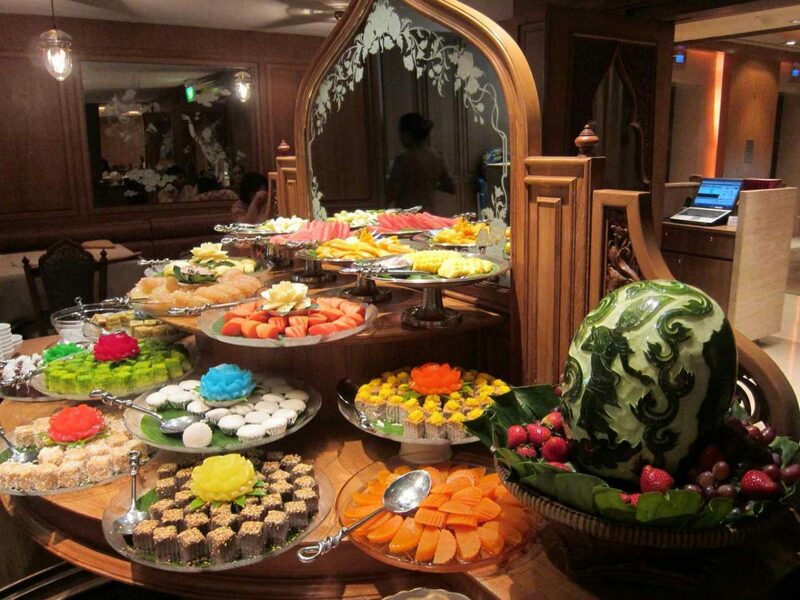 It is recommended for dessert and also drinks can use a separate table. 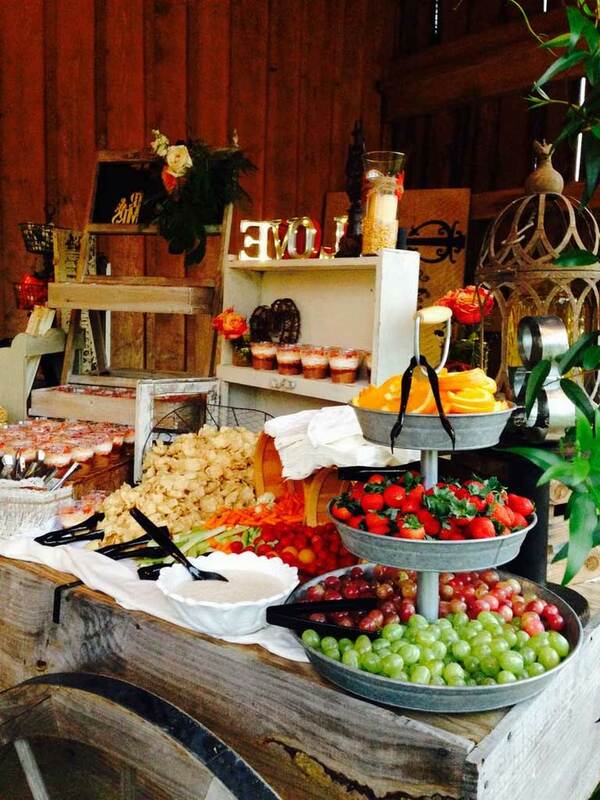 This can make it easier for guests to take food as desired without the need to queue for long. 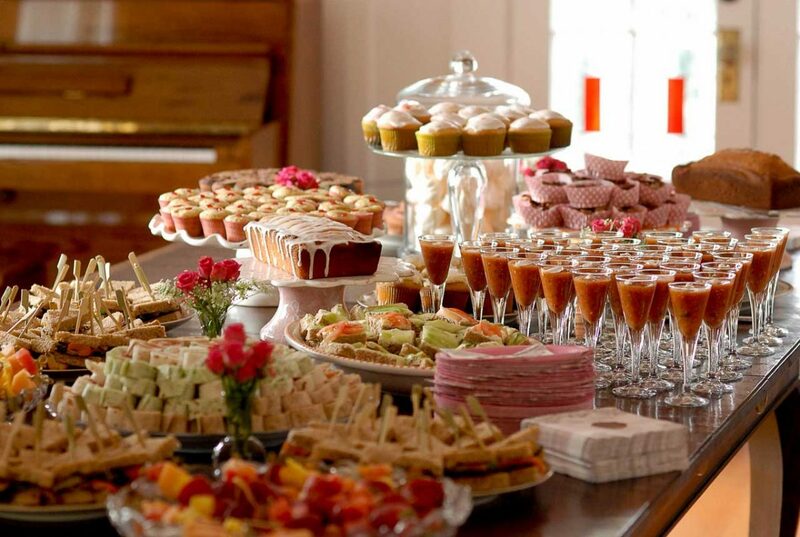 If you only use one table, choose a long buffet table and fill it with various dishes such as main food until it ends with dessert. 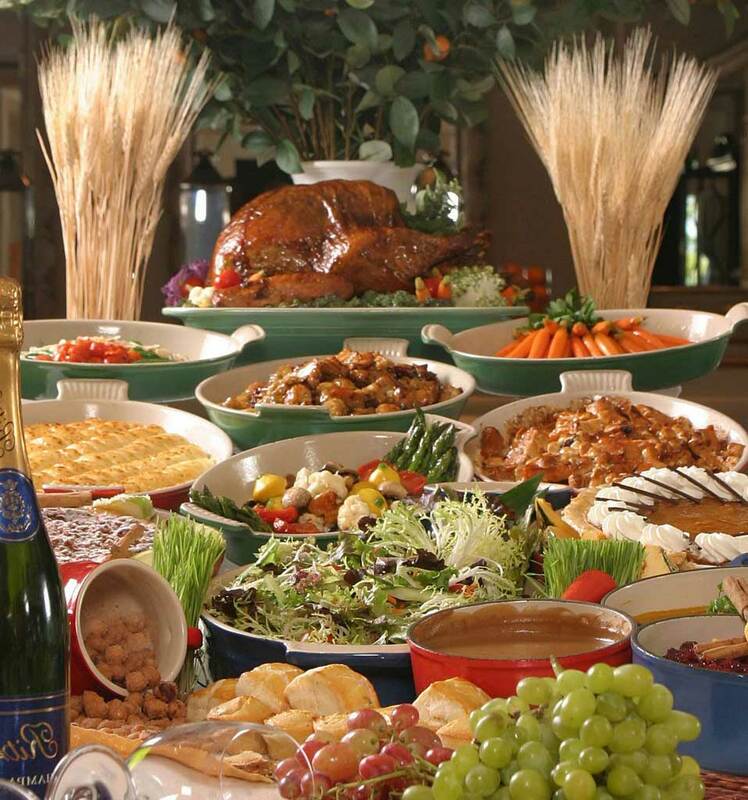 At the buffet table, you should place a tableware near the serving of roasted turkey or rice or at the beginning before the side dish. This is to facilitate guests. Because when guests go to the buffet table, they need to take plates, spoons, forks, and tissues and then take a side dish. And don’t forget to give a spoon mat and small plate as a place for side dishes. 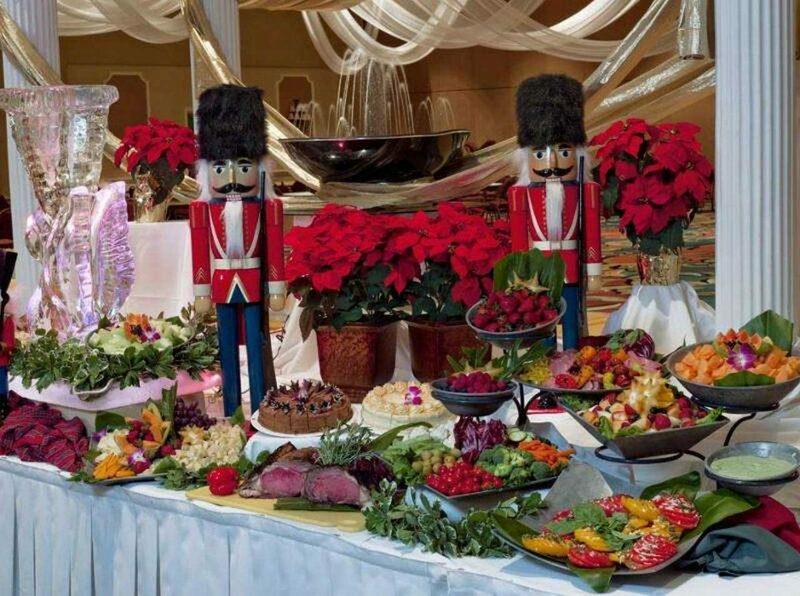 Buffet table decoration for holidays is something interesting if you know how to set it up and in the end, everything will go according to your plan. So, if you want to secure all these wonderful graphics regarding 5 tips buffet table decorations for Thanksgiving and Christmas, click save button to save the images to your laptop. They are available for obtain, if you like and wish to have it, click save symbol in the web page, and it will be immediately saved in your desktop computer. 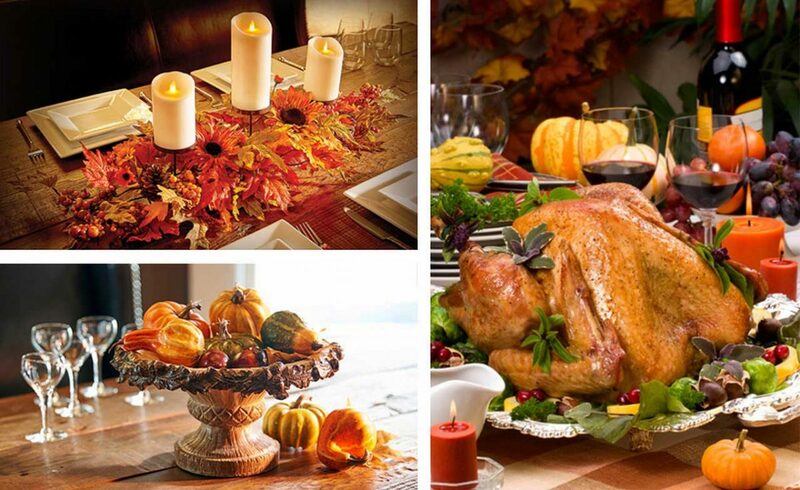 Here you are at our website, content above 5 tips buffet table decorations for Thanksgiving and Christmas published. 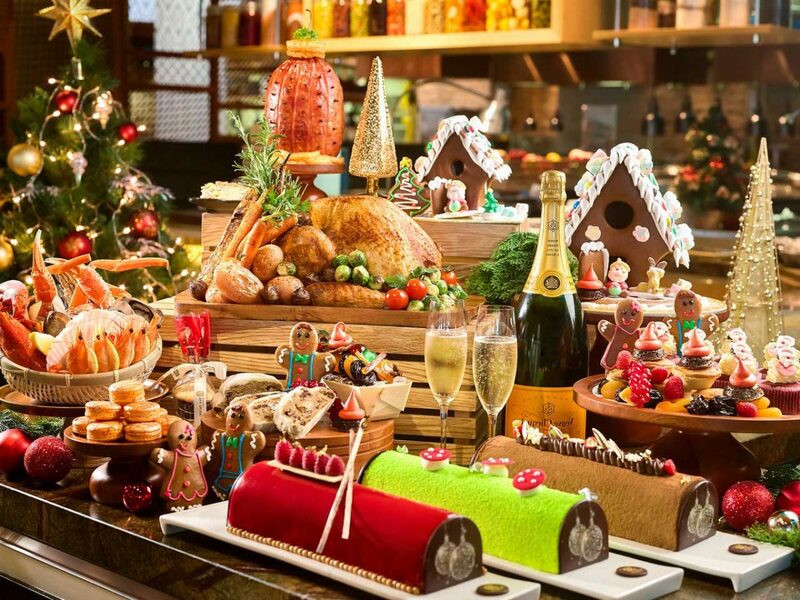 Most people attempting to find details about buffet table decorations and definitely one of these is you, is not it?